Sometimes, the world of Linux may look boring. For general users like us, that’s more important because we’re more affected by the look of the system than the professionals. Well, even pros prefer having a nice, soothing and slick look. What to do then? Returning back to the previous operating system? 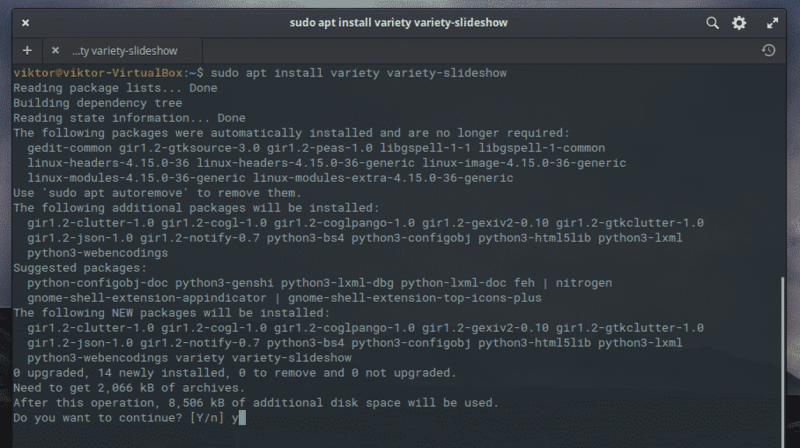 There are some tweaks you need to incorporate to make your Linux system more appetizing. How about changing the current background? Believe it or not, looking at the same background for hundreds of hour is really, really boring. It can also impact on your view on the system itself! 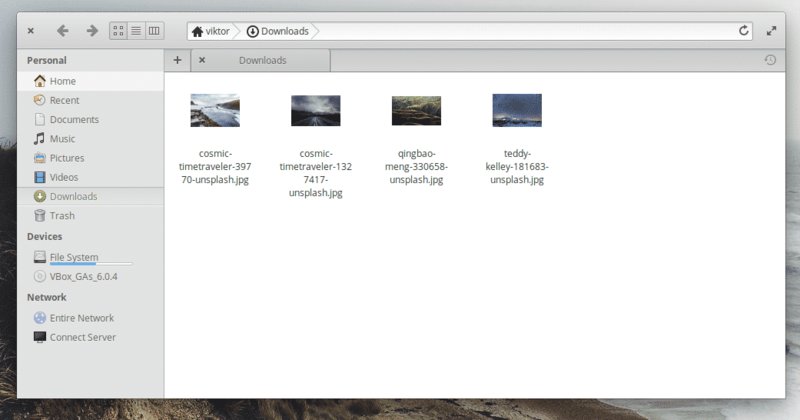 For new Linux users, elementary OS is an extremely user-friendly distro. It features the MacOS-like docking system. It also features a very minimal collection of apps that you need the most. 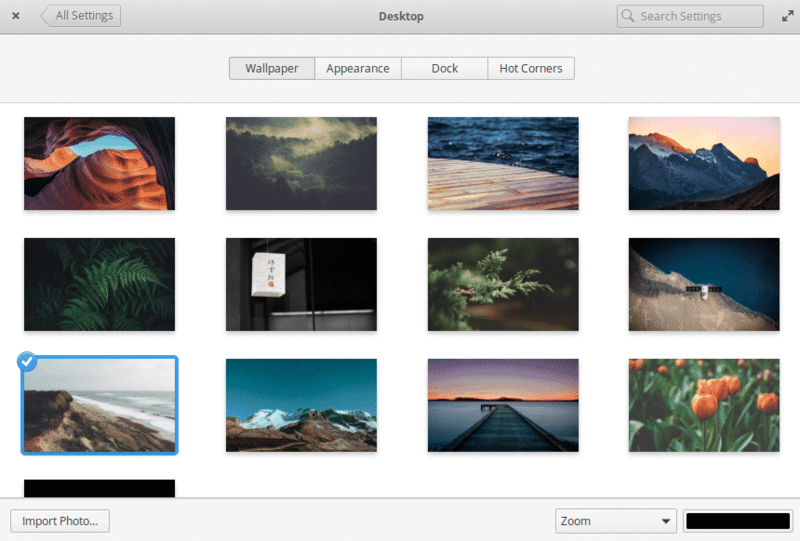 Interestingly, the default gallery offers numerous built-in wallpapers. 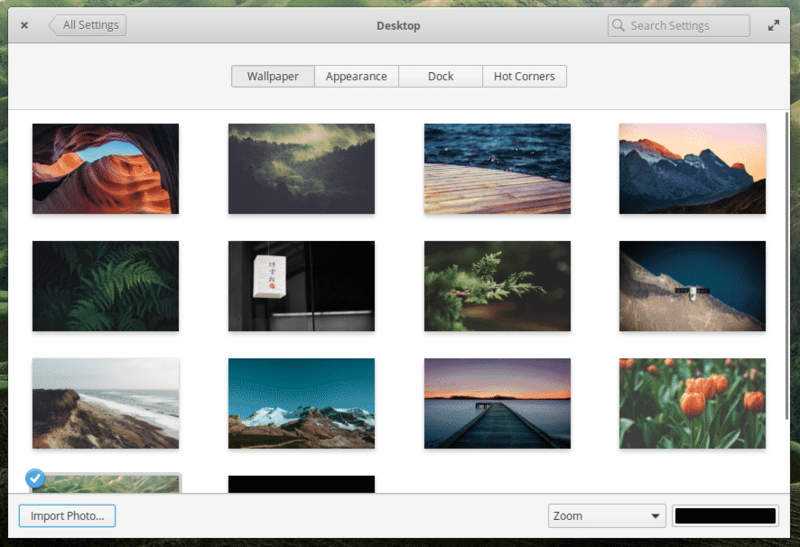 Don’t worry; you can always select your own wallpaper from your favorite images. 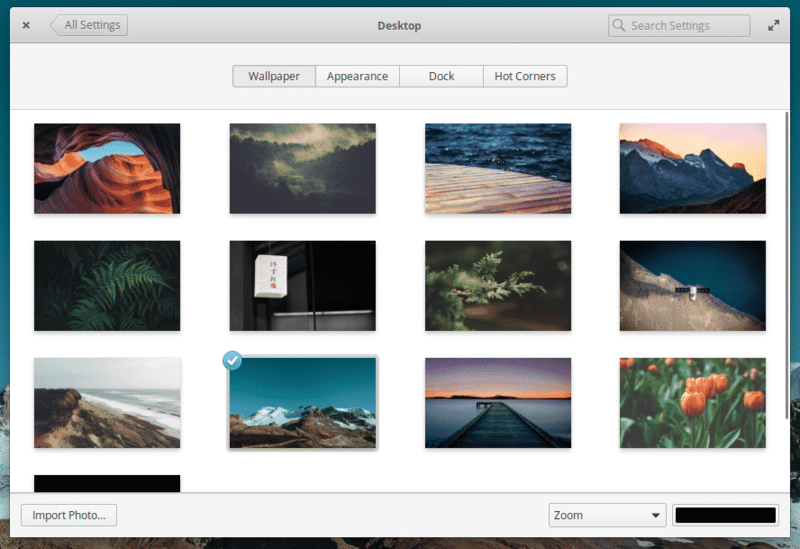 Let’s check out on changing the wallpaper of elementary OS! Don’t forget to check out the best terminal emulators for Linux! 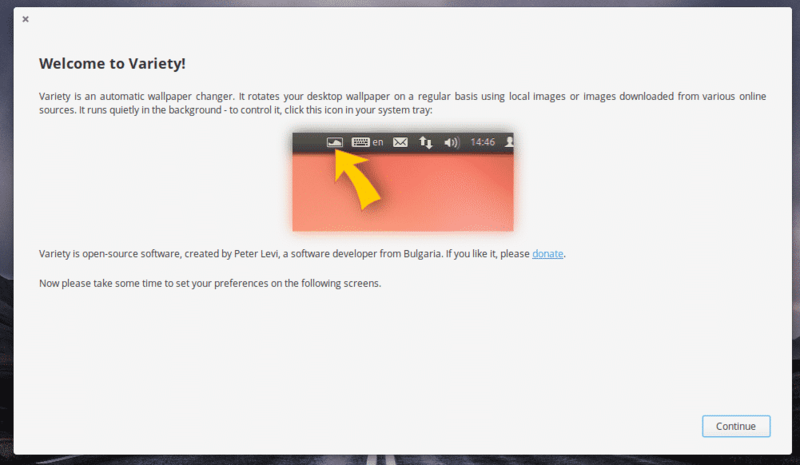 At first, let’s find out how to change the current wallpaper. As you can see, this is my current background. It’s time for a change! Go to Applications menu >> System Settings. 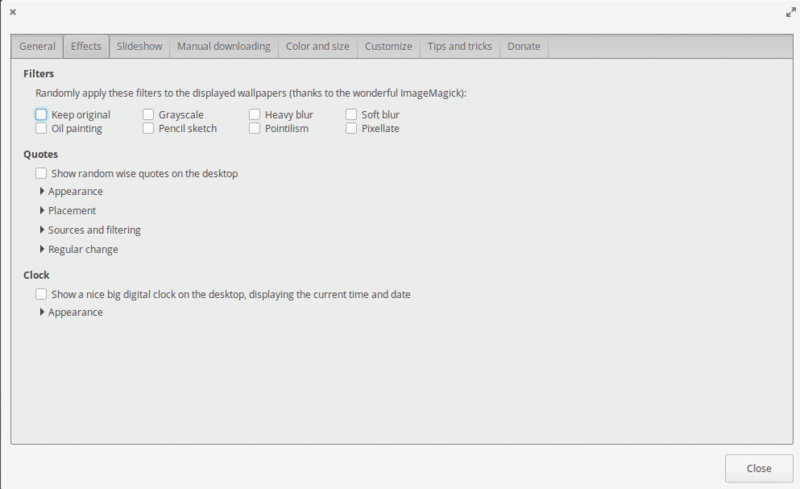 Once you’re on the settings page, go to “Desktop”. See the collection of wallpaper? For changing the current one, select any of your favorite ones in the list. Of course, when we’re talking about wallpapers, there will always be your own choice. There are millions of high-quality and mind-blowing wallpapers on the internet for free. Let’s check out on changing your wallpaper to your favorite one. At first, make sure that you download the favorite wallpaper(s) first. They can be in any file format but JPG and PNG are most welcome. I’ve grabbed a few of my favorite ones from the web. Thanks to Unsplash for all of them. Open the image with the image viewer. 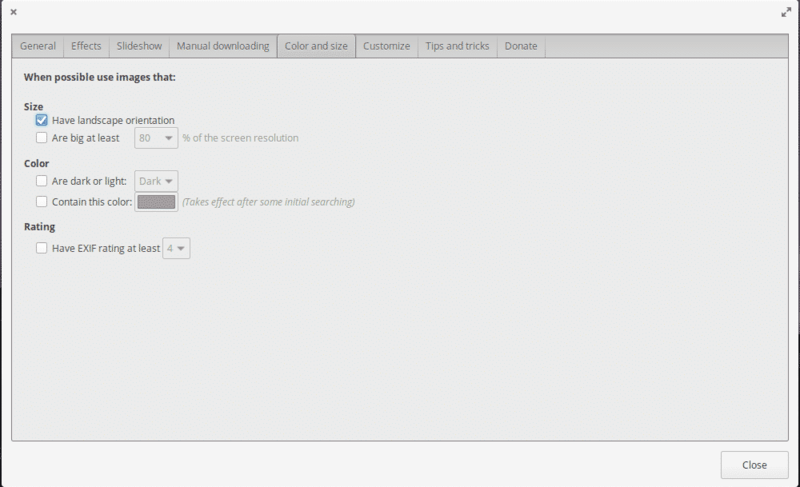 Once opened, right-click on the image and select Other Actions >> Set as Desktop Background. There’s another way to perform the same action. 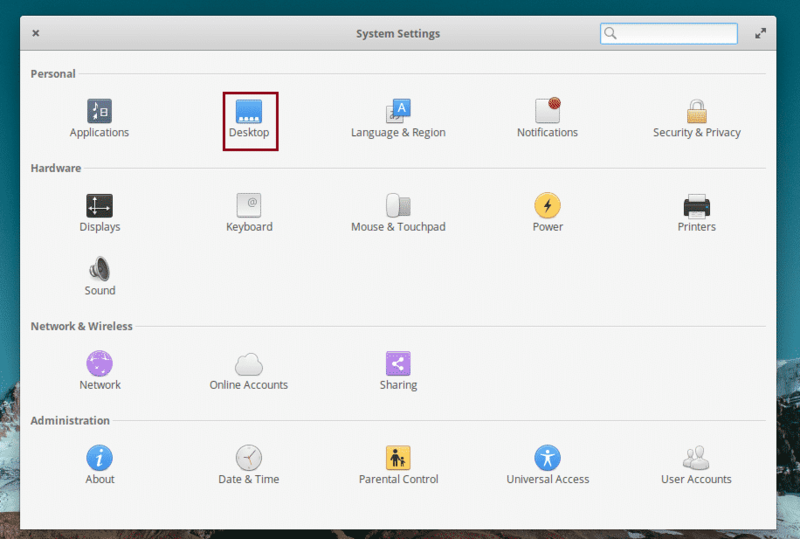 Go to System Settings >> Desktop (as mentioned earlier in the article). At the bottom, you’ll notice the “Import Photo” button. Click on it. Browse for the wallpapers you’ve downloaded. Once selected, hit “Import”. From now on, those files will appear on the list of available wallpapers. 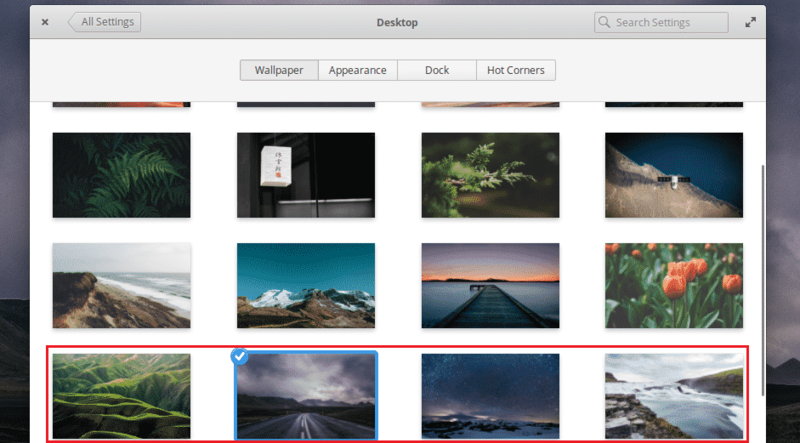 If you’ve used any other operating system like Windows or macOS or even other Linux distros, you may have noticed that there’s a feature that allows changing the wallpaper every couple hours. 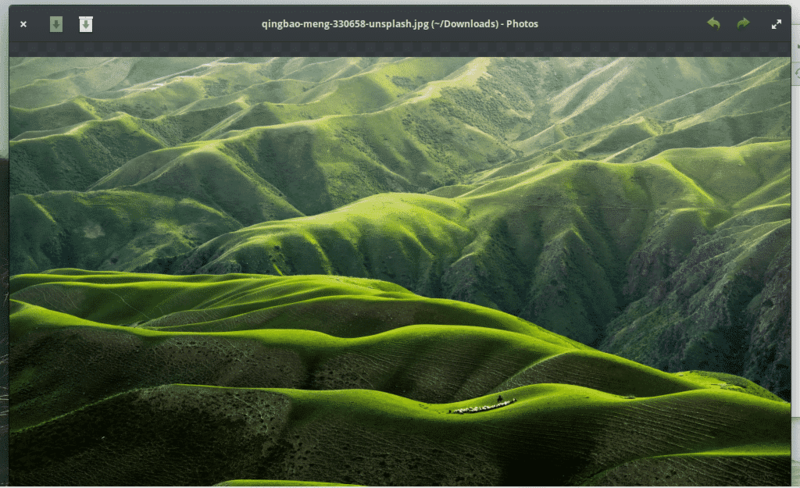 That allows enjoying all the beautiful backgrounds each time you login into your system. No need to change them manually. 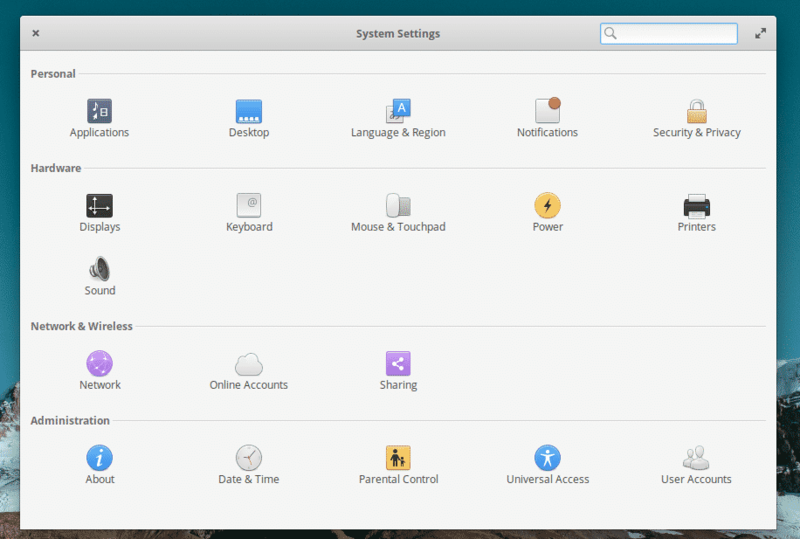 Unfortunately, the feature isn’t available on elementary OS by default. Hopefully, the feature becomes available in the future. 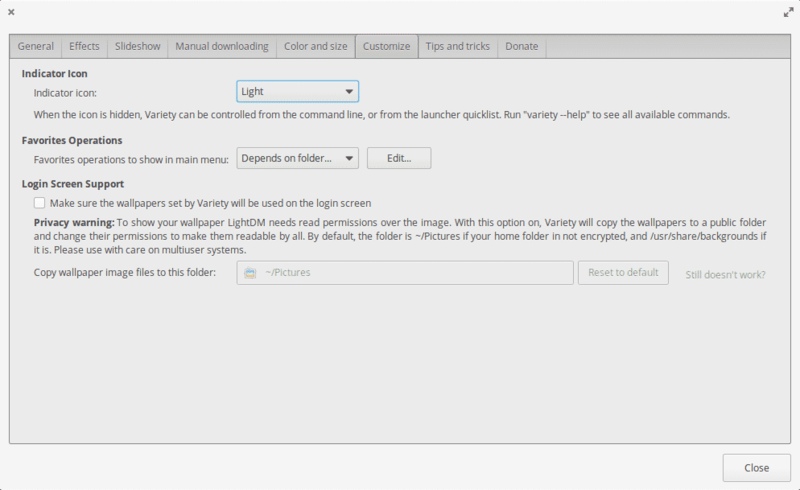 For the time being, let’s configure the wallpaper slideshow using Variety. It’s an app that will do the slideshow job. 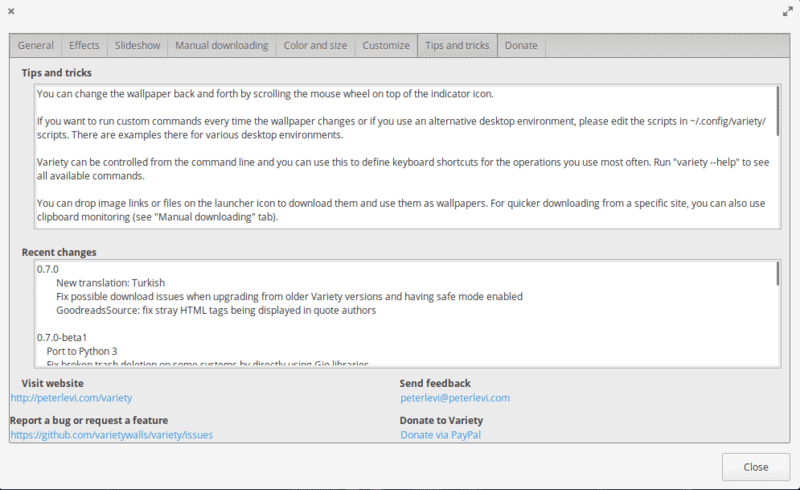 For the sake of convenience, change all the options that appear according to the following screenshot. However, feel free to change the timing for wallpaper change. 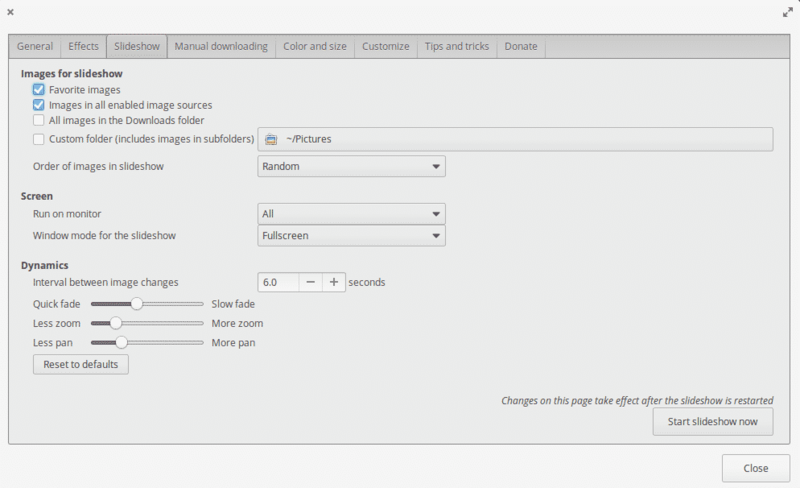 Variety offers a number of features including getting new desktop backgrounds from Flickr, Unsplash, Bing, and others. 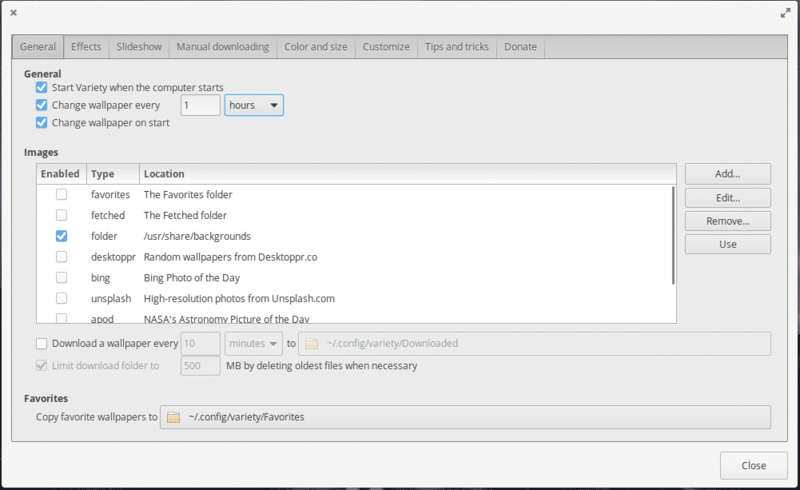 You can also add the directory where all your favorite wallpapers are located. With all the features available on Variety, things are bound to become pretty exciting now. Wallpaper plays a major role in deciding the experience of any machine. A dull, gloomy and boring wallpaper can significantly lower the enjoyment of using a certain system. On the other hand, a new, refreshing wallpaper can change your mood entirely. You’re not limited to just customizing the wallpaper. 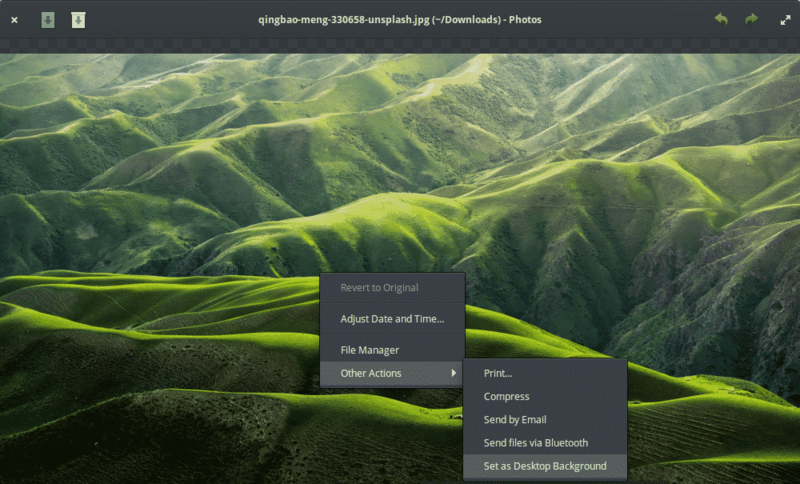 You can also perform a ton of customizations on Linux. 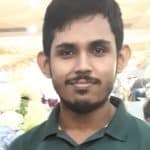 How about changing the default terminal emulator? This can revitalize the working experience with Linux terminal.